HIPs: The end of the road? Now that the new Coalition Government has settled in, I was interested to note that one of the first steps that has been proposed is to repeal the Home Information Packs. The details are still a bit unclear and it may be that the HIP is being repealed down south with the Energy Performance Certificate being retained. This proposal is a welcome step and this shows that the Government can change policy and we have to hope that the Scottish Government sees sense and takes steps to repeal the Scottish version. As a market overview, there has been a recent article in the Daily Express indicating big rises in house prices. Whilst there is definitely an increase in activity, the numbers of properties changing hands are still well below 2007 levels meaning that there is huge scope for distortion of the figures. My feeling is that the housing market is moving along the road to recovery and that the fundamentals for the UK house market are still good, that is, stable property market, increasing demands and lack of supply. Although there is still a problem with bank lending especially to first time buyers. The housing market still requires to be encouraged by the UK and Scottish Governments and it would be a big benefit if the Sellers’ Survey was abolished in Scotland. Author Blackadders SolicitorsPosted on May 24, 2010 May 26, 2010 Categories Property blogTags HIPs, Home Information Packs, Sellers' SurveyLeave a comment on HIPs: The end of the road? 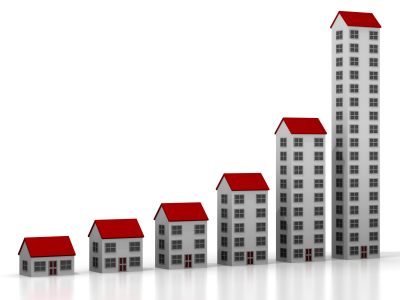 The recent Nationwide house price survey indicates that house price inflation has hit 10.5%. Regular readers of this blog will know of my disdain and concern for house price surveys given their tendency to paint a misleading picture and also not to accurately show the basis on which they are benchmarking their headline. However, it was interesting to see that the Nationwide did post a note of caution in its report advising that the past 12 month surge would tail off later this year with sellers starting to outnumber buyers. There was a reduction in the number of purchasers in the Dundee and Angus areas in the last 18 months, however, this was balanced with the number of properties coming on the market effectively reducing by half and then half again since the peak of 2007, keeping prices level and in some cases growing. We are now noting a huge increase in the number of properties coming on to the market, not back yet to 2007 levels, but moving in the right direction. My concern is that with the lack of first time buyers and also the number of sellers who are non-movers, i.e. executry sales or people who are wishing to move out with the area, I think this will cause house prices to level off in the 2nd half of the year. I am pleased to note that the property market is however gaining a momentum and one advantage (the only advantage!?) of the dreaded Home Report is that because of the high upfront cost at least you have to assume that every seller is a committed seller given the amount of money that is now involved in the process. I am sure that there will be more blogs over the next 12 months confirming the trend in prices and I will continue to update you.